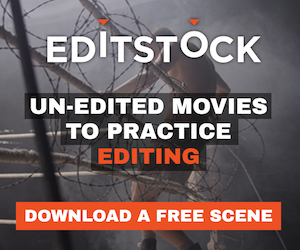 Inside the Editors' Studio offers insight into the real world of editing. Moderated by Harry B. Miller III, ACE, and hosted by Joe Byron and the Los Angeles Film School, this four-part series covers editing for feature films, TV shows, and documentaries. The 2009 Editors Retreat has made a major announcement. If you register prior to December 10th, 2008 you'll receive 30% off your registration fee, a complimentary pass to the 2009 NAB Post Prodcution Conference in Las Vegas and a copy of Adobe CS4 production Premium. Suresh Ayyar, ASE won the IF Award for Best Editing at the IF Award Ceremony, held last week in the Gold Coast, Australia. Suresh won for his work on Unfinished Sky.